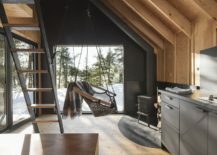 There is something undeniably romantic and exciting about living away from all the urban rush and in the lap of nature, surrounded by nothing but its diverse sights and sounds. 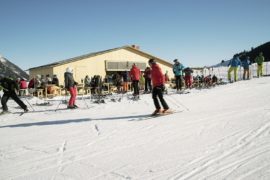 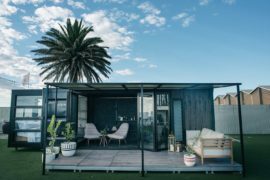 This is just the type of break that many of us look forward to and the fabulous La Pointe designed by L’Abri offers just that with a micro-shelter that moves away from the mundane. 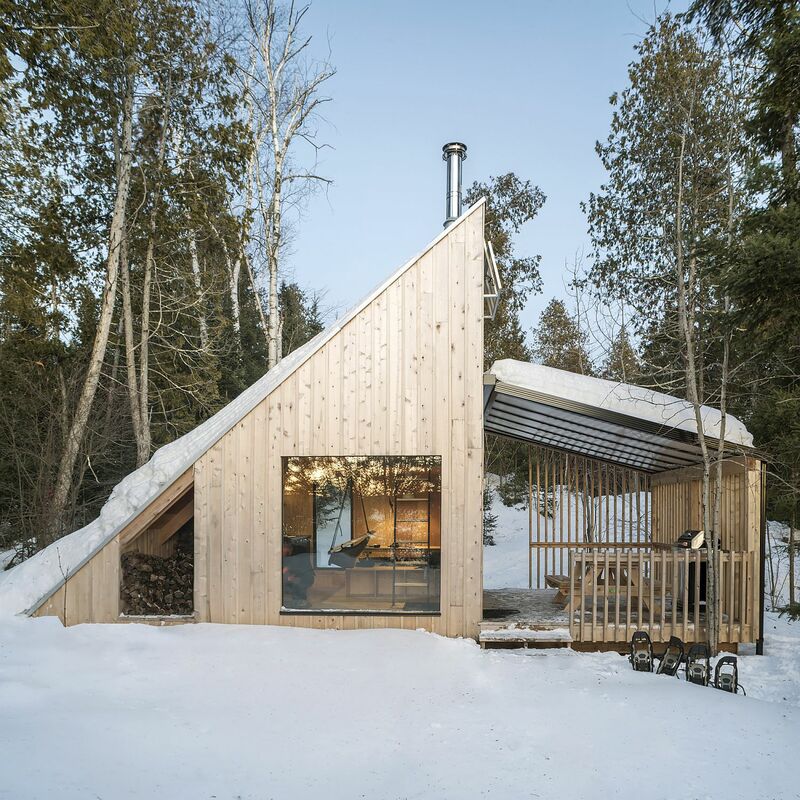 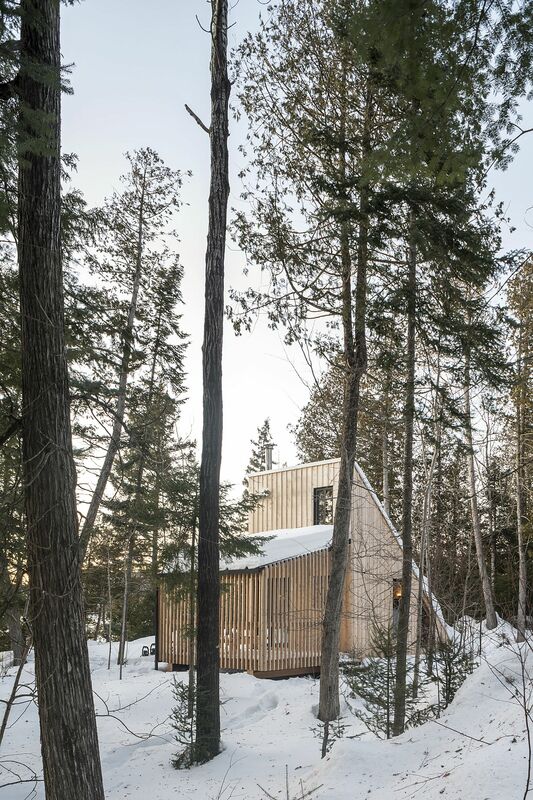 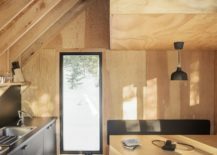 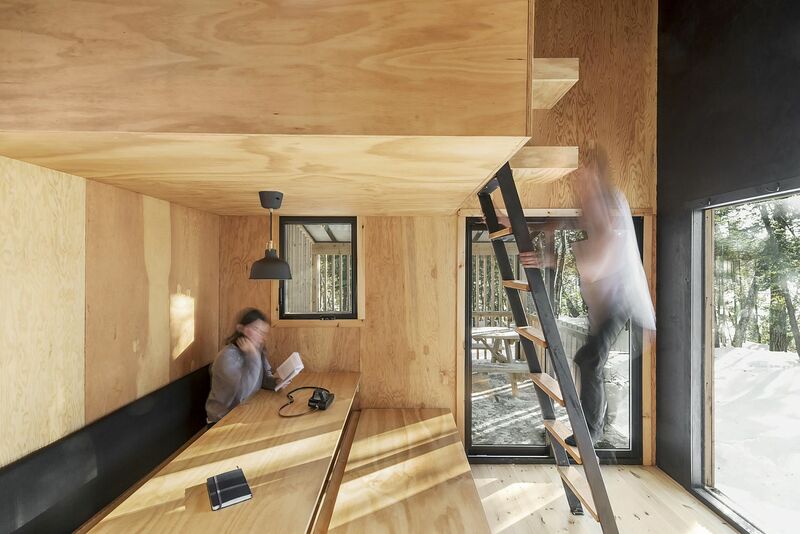 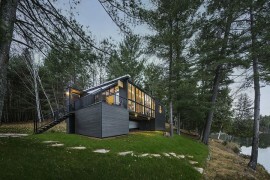 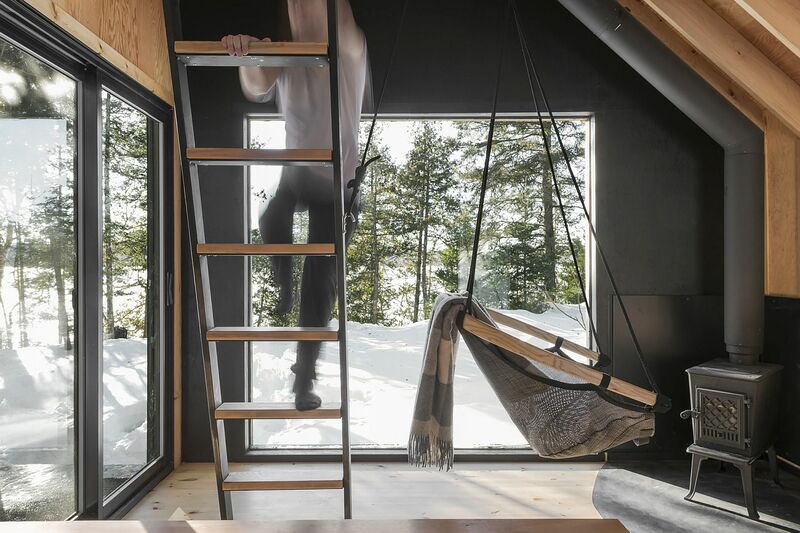 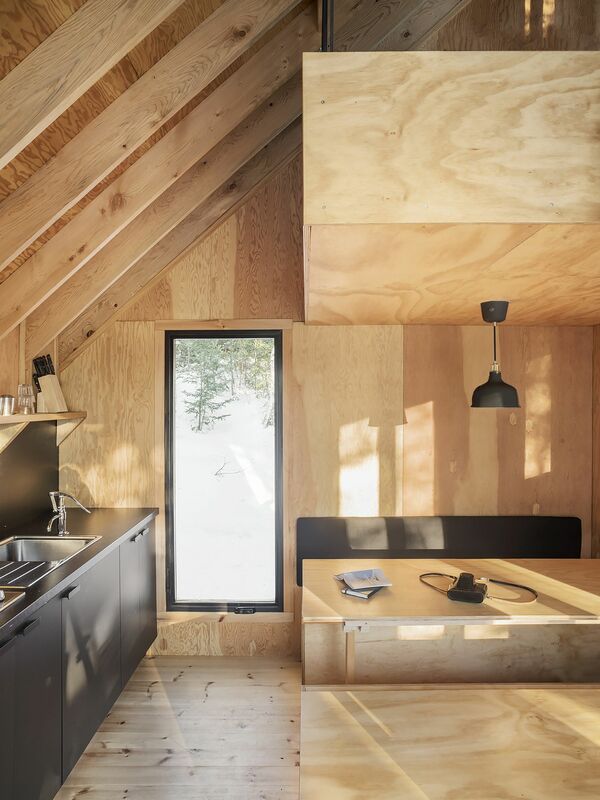 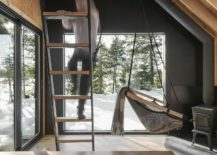 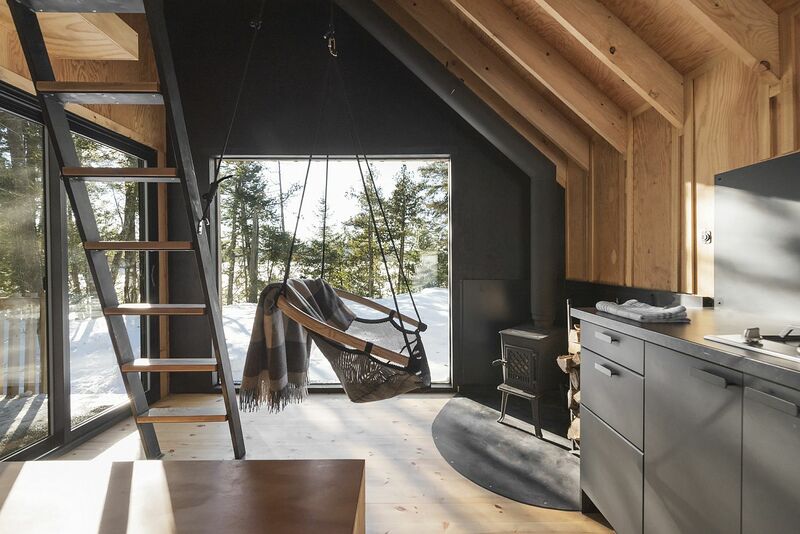 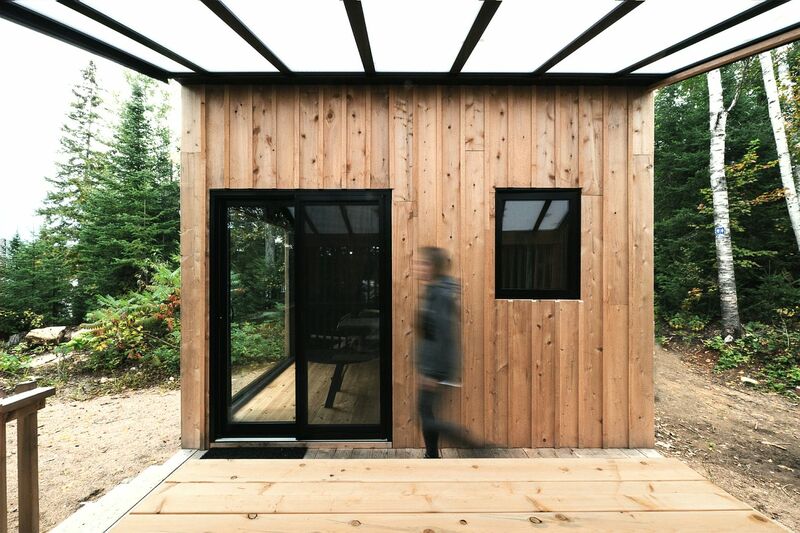 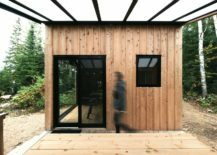 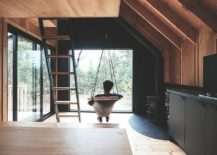 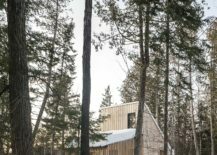 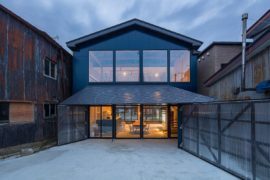 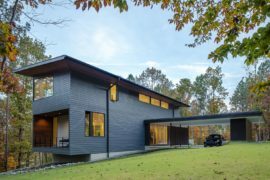 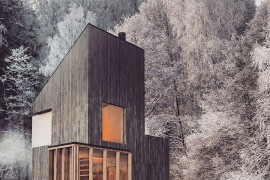 Shaped in cedar board and batten on the outside along with a tinge of metallic glint, this quaint little getaway in Quebec, Canada was inspired in form by the many charming A-frame houses of the 50’s and the 60’s. 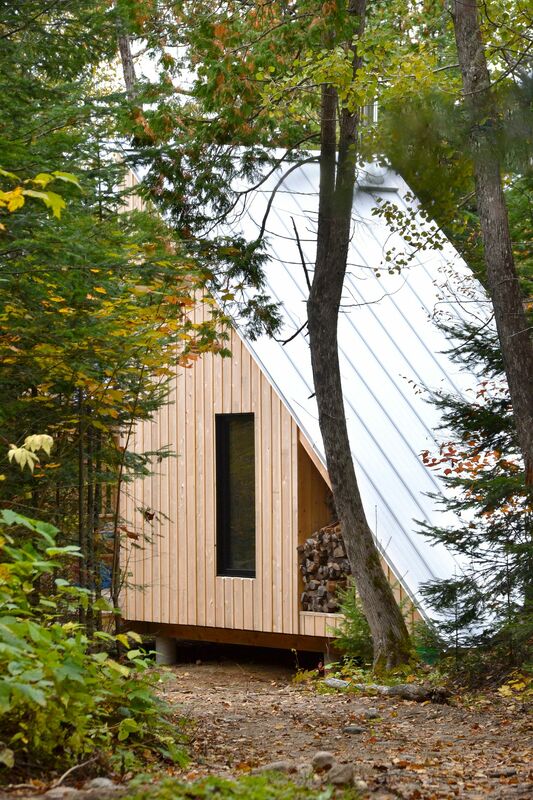 This is the story behind its triangular exterior while on the inside, things become even more interesting! 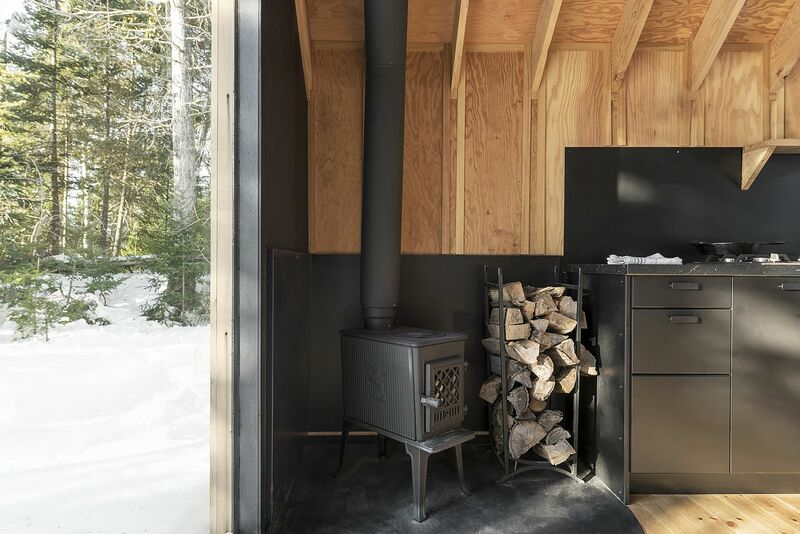 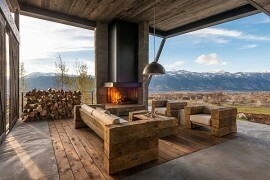 One of the firs things we love about La Pointe is how its off-grid presence takes you deep into a terrain that overlooks woods and valleys even while offering a cozy refuge. 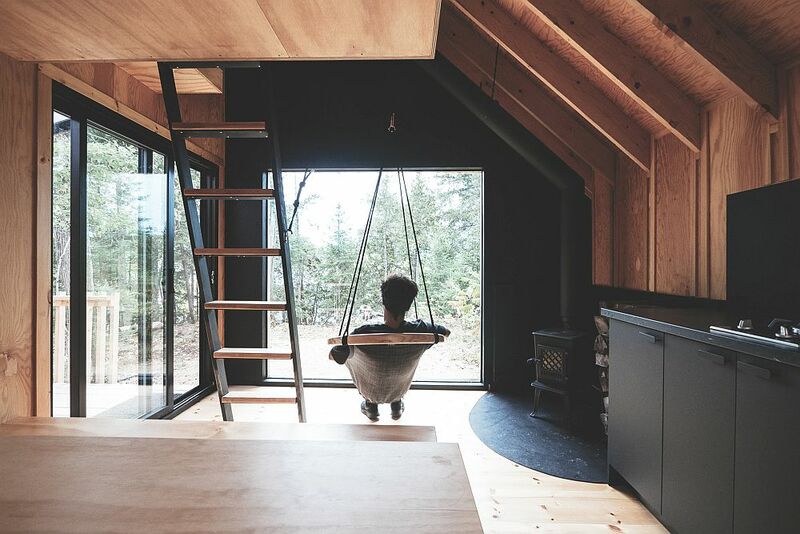 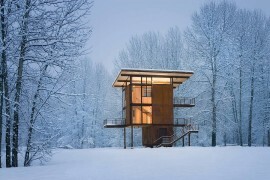 On the inside, there is not too much space to offer, but whatever you have has been maximized to the fullest. 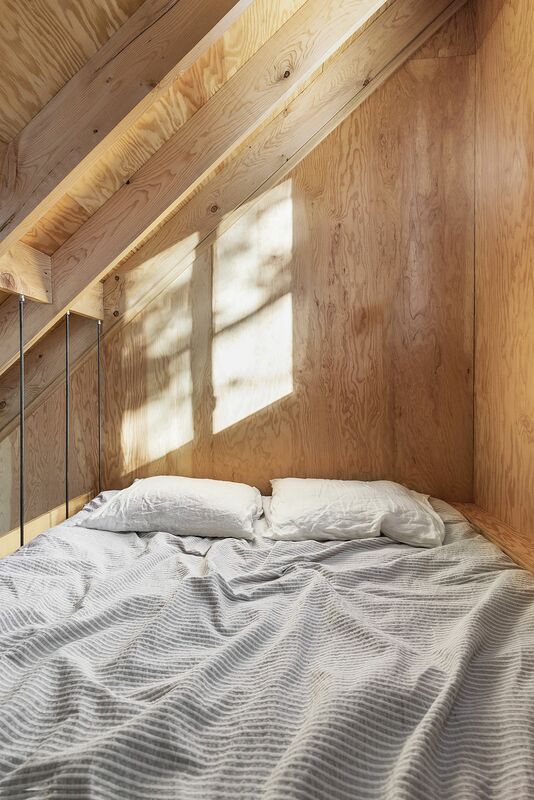 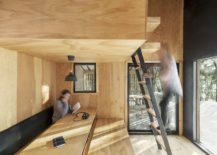 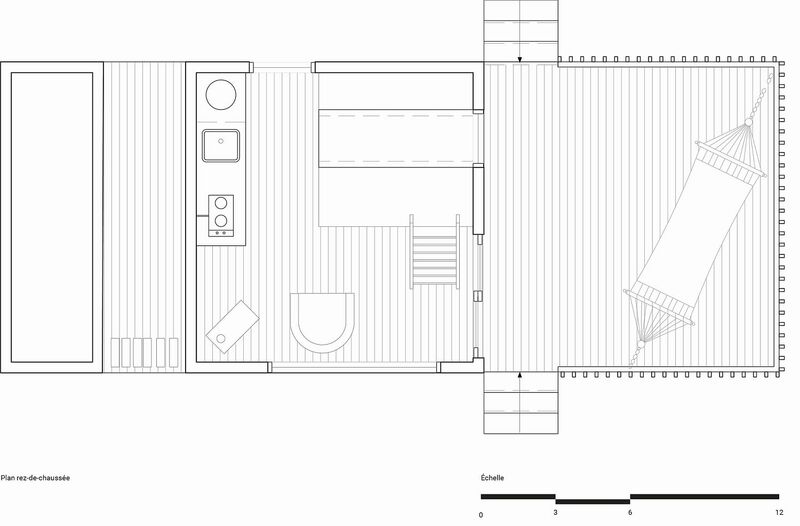 The cabin can easily host 2 to 4 guests at a time and with a loft level bedroom and a lower level bench that can be turned into a bed, there is ample sleeping space here for everyone. 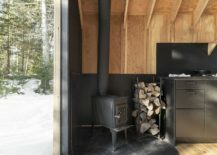 The kitchenette and the fireplace in the corner make the escape even more special while providing you with exactly what is needed.